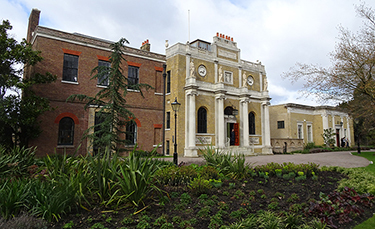 After a four year Heritage Lottery Fund sponsored full restoration, Grade I listed Pitzhanger Manor in Ealing reopened to the public today. The house was designed and built between 1800 and 1804 by celebrated architect Sir John Soane as a country residence for his family. The interior rooms are festooned with characteristic Soane designs. Pitzhanger Manor costs £7.70 to visit for adults, with various concessions for other groups. 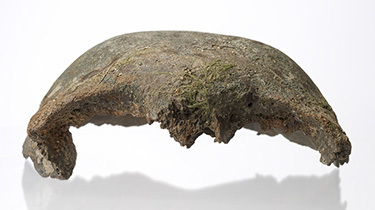 Part of the cranium of a Neolithic male adult went on display today at the Museum of London. The fragment was recently discovered by Thames mudlarker Martin Bushell on the south bank of the river. The piece has been carbon-dated to 5,600 years ago, making it the oldest piece of human remains ever found on the Thames. The object can be seen in the museum’s London before London gallery. The Whitechapel Bell Foundry, London’s oldest business until closed in June 2017, is the object of a campaign to re-open it to commercial industrial use. The 450 year old factory was visited by London Historians members in 2012 and 2015. At the moment there is a planning application lodged with Tower Hamlets Council to turn the building into a themed hotel. An alternative plan by Factum Foundation and the United Kingdom Buidlings Preservation Trust has been devised which would see the property return to its previous purpose. More on this at Spitalfields Life. The campaign Save the Whitechapel Bell Foundry. Join in: how to object. 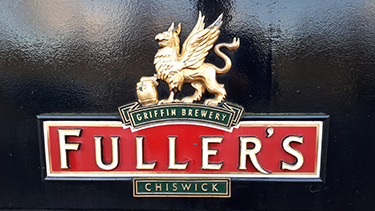 London’s last remaining large brewery – Fullers of Chiswick – has sold its brewing business to Japanese giant Asahi for a mere £250 million. The firm will continue to run its portfolio of pubs. Fuller, Smith and Turner was founded in 1845 although its riverside HQ has been the site of brewing from a much earlier date. 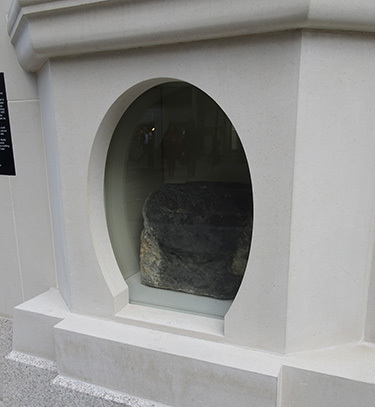 The mysterious and mythical London Stone was returned to its traditional home at 111 Cannon Street today after the building had been restored. It has spent the past two years on display at the Museum of London. Legend has it that the stone plays a part in the city’s foundation story. 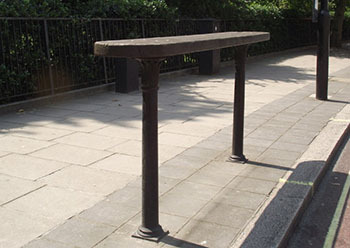 The object has been on this thoroughfare since at least the mid 16th Century and is mentioned by both Stow and Camden. Most accounts – all unsubstantiated – give it a Roman origin. The new setting for the stone was unveiled by Lord Mayor Charles Bowman. More on the London Stone. 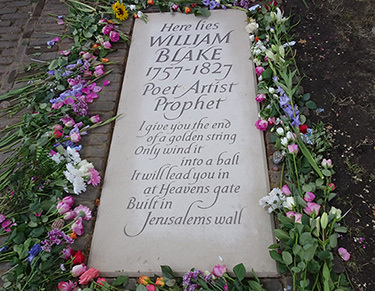 The London artist, poet, printer and mystic William Blake was remembered on Sunday 12 August – the anniversary of his death – with a new gravestone. Until recently, his actual burial site in London’s Bunhill Fields Cemetery, was unknown. But recent research located this precisely, allowing a new memorial. The event, attended by hundreds, was organised by The Blake Society. It comprised talks, singing, contemplation and ended with the lighting of 191 candles representing the years since Blake’s death. The India Club, a much-loved Indian restaurant on the Strand, has won a stay of execution posed by hotel developers when Westminster Council refused their planning application on the grounds of the eatery’s historic and cultural significance. The restaurant had mounted a vigorous campaign and petition during the first half of the year which gathered huge momentum via social media. At its beginning the India Club was closely associated with the post-Independence scene in London which included, among many, Jawaharlal Nehru and Lady Mountbatten, along with the Indian diplomatic community. In recent times it’s also been a a favourite of students and academics from nearby King’s College. 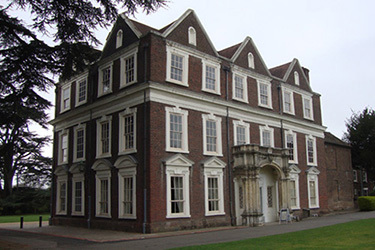 Boston Manor House, the Grade I Jacobean manor house in West London has been awarded vital funding by Heritage Lottery Fund for a major two year refurbishment. Built in 1623 for Mary Reade, the house spent most of its history in the ownership of the Clitherow family, a dynasty of city merchants. 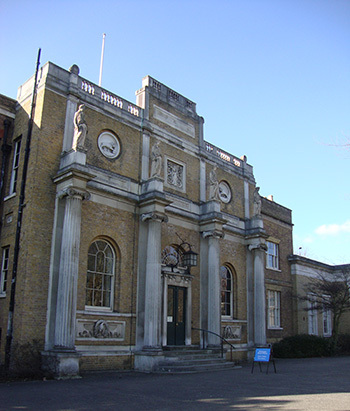 It passed to Brentford Urban District Council in 1923 since when it has been used variously as a girls’ school and more recently a local tourist attraction. Whilst local volunteers have done their best for the building, the HLF injection will bring some much-needed TLC. The restoration project will run from early 2019 until 2021, but since the house opens only on weekends during the summer, you’re well advised to visit during the next several months. 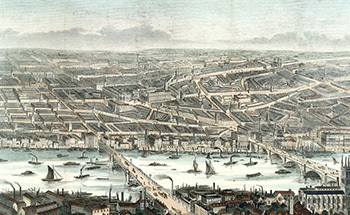 A seven metre wide panorama of Westminster was secured by the Museum of London at Sotheby’s last week. The urban landscape was painted in watercolour by Pierre Prévost in 1815, hence giving an important depiction of the Old Palace of Westminster which was lost to fire in 1834. With support from the Art Fund, the museum obtained the picture for £200,000. It is now working out how best to display such a large item. The above image represents about a quarter of the full width. Westminster Abbey has unveiled dozens of previously archived items in its collection, displayed in the new Queen’s Diamond Jubilee Galleries. The artefacts include silver plate, jewellery, costumes, ecclesiastical vestments, books and manuscripts, weapons and armour, drawings and architectural models. Most notable, however, is the collection of funeral effigies – mainly of royalty – which dominate this permanent exhibition. They date from the late 15th Century onwards and it’s fascinating to see how they developed in sophistication over the following centuries. The galleries will open to the public on 11 June for an additional £5 on the standard entry fee. 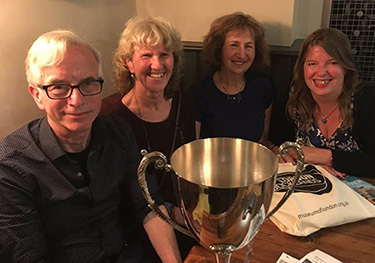 Yesterday evening, London Historians’ second annual Big Quiz was won by the same team which scooped the inaugural competition in 2017. Fifty Shades, captained by Diane Burstein, scored 46 points from a possible 55 in a challenging contest run by popular London quizmaster, Matt Brown. Her fellow team members were Chris Burton, Colin Levy and Rachel Kolsky. Four teams had to fight a tie-break for second and third place having each scored 39. 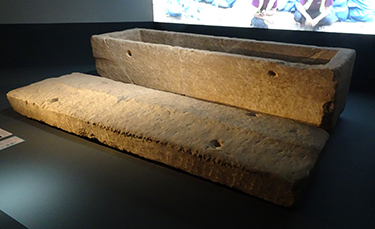 A Roman sarcophagus discovered in Southwark in June of last year has been put on show to the public for the first time at Museum of London Docklands. Dubbed the ‘Harper Road Sarcophagus’, it is the centrepiece of a new exhibition, Roman Dead The limestone piece was found to contain the remains of a woman aged around 50. It has taken many months of painstaking conservation work and research to extract as much infomation as possible to add to our knowledge of life and death in Roman London. 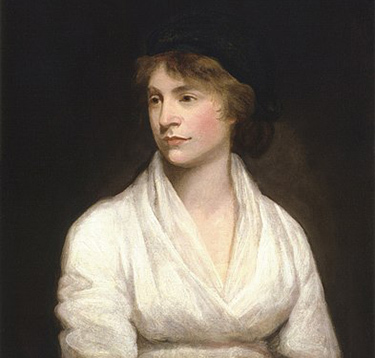 Image: Mary Wollstonecraft by John Opie. National Portrait Gallery, London. The Mary on the Green Campaign, which has been lobbying and fundraising for the best part of a decade for a statue commemorating Mary Wollstonecraft (1759 – 1797), have chosen Maggi Hambling to create the work. Wollstoncraft, author of Vindication of the Rights of Women (1792), is widely revered as a feminist pioneer and philosopher. Hambling is one of Britain’s leading sculptors, responsible for the controversial Oscar Wilde Memorial (1998) near Charing Cross. The site of the Wollstonecraft memorial will be Newington Green. 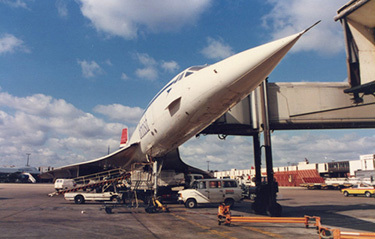 From today, the archives of Heathrow Airport – one of the world’s largest aviation hubs – are now hosted in a facility at the University of West London’s Ealing campus. The airport, along with Heritage Lottery Fund, have backed the project in order to make its large wealth of records and artifacts accessible to students, academics and enthusiasts who wish to research over seventy years of aviation history. 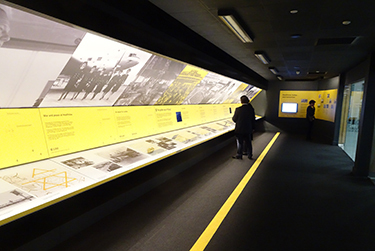 The facility is complemented by a permanent exhibition – Heathrow: The Journey – in the same building. It features old images, film, maps, books, drawings and airline ephemera. While the exhibition is open to all, visiting the archive is by appointment. The London Museum of Water and Steam (formerly Kew Bridge Steam Museum) has opened a new gallery which features the transformation from steam to electric power for pumping water. The Electric House displays equipment from the entire 20th Century which was rescued over recent years from sites across the capital, such as Lots Road Power Station. Staff and volunteers at the museum have spent recent years cleaning and restoring the display items to working condition. The result is a gleaming array of industrial power and a fitting edition to the museum’s stunning collection of working steam engines. London Museum of Water and Steam. Years in the making, the Chiswick Timeline project came to fruition today when the pair of outdoor murals next to Turnham Green Station were officially unveiled by local resident, the artist Sir Peter Blake. 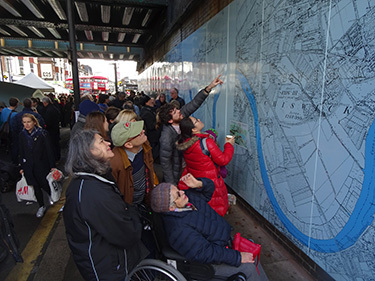 The brainchild of Sarah Cruz and Karen Liebriech, the twin murals feature historic maps of the Thames near Chiswick from 1593 to 2018. Integrated with this are 23 representations of historic local scenes by Hogarth, Zoffany, Turner, Rysbrac, Ravilious and others. Turnham Green Terrace was closed for the grand opening, which was attended by hundreds of locals and visitors. Blessed by excellent weather, the festival atmosphere was enhanced by historic Routemaster buses, live music and stalls. Headstone Manor, a Grade 1-listed manor house dating from the early 14th Century will reopen this week following a £5.7 million restoration. This includes the moated house, a great barn and the addition of a multi-media museum. The main building which has been owned by bishops, lords and Henry VIII himself is the earliest surviving timber-framed building in Middlesex. It is also the only fully-moated building in Greater London. 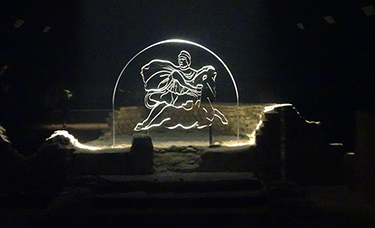 The ancient Roman temple dedicated to the mystical Eastern cult deity Mithras will open to free public view from 14 November. The remains of the building were originally discovered in post-War excavations in the Bucklebury area of the City in 1954. It was relocated nearby in 1962 but open to the elements for almost fifty years. The development of a new London HQ for the Bloomberg financial data company on the corner of Walbrook and Queen Victoria Street offered the opportunity for archaeologists to dig the site anew between 2012 and 2014. 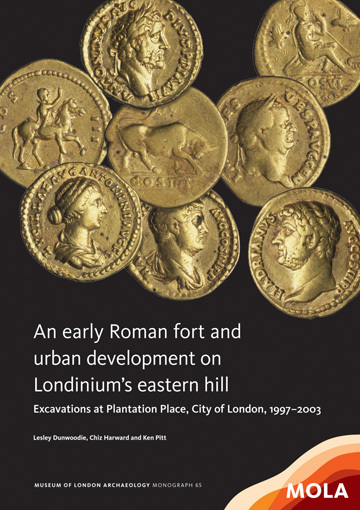 A record number of artifacts were uncovered including a tablet bearing the first know written use of the name Londinium. The temple and many of the finds are now on display in a purpose-built facility which is open to the public, but advanced booking must be made via the London Mithraeum web site. 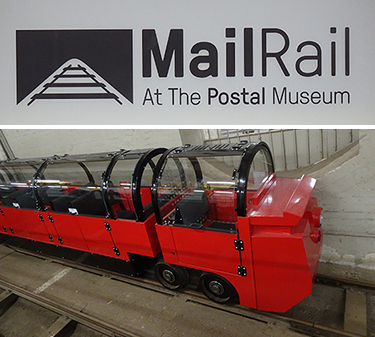 The eagerly awaited Mail Rail exhibition at London’s new Post Office Museum opened to the public today. The permanent facility includes rides on the Royal Mail’s legendary underground mail transportation system which closed in 2003 but had been kept mothballed ever since. Known as the Post Office Railway, the 2ft narrow guage system opened in 1927 running driverless trains between Paddington and Farringdon stations. In addition to the rides, the exhibition includes displays featuring old plant, maintenance and rolling stock plus the experience of Post Office staff who worked on the system throughout the 20th Century. A patient wait ended today with the eagerly_anticipated opening of The Postal Museum in Phoenix Place, WC1. The museum covers 500 years of postal history, a system which began as the preserve of the literate elite and developed into a service for everybody by the time of he 1840 penny post. Its new galleries display hundreds of objects from the vital to the quirky: stamps (of course), cards, letters, post boxes, vehicles, uniforms, even weapons. But the big attraction will undoubtedly be the restoration of Mail Rail, the GPO’s own private underground transport system on which visitors can actually take a ride. The Postal Museum web site. 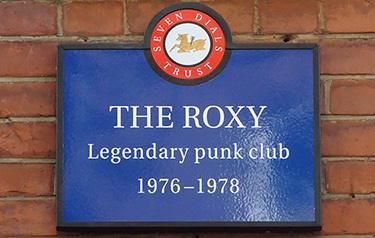 A plaque has been unveiled at 41-43 Neal Street in Covent Garden to commemorate The Roxy, the punk venue which ran from late 1976 until April 1978. With almost nightly gigs, the venue hosted bands such as Buzzcocks, the Clash, Generation X, Slaughter and the Dogs, Souxie and the Banchees, Captain Sensible, the Cortinas and dozens more. The unveiling accompanies a free photographic and poster exhibition – also in Neal Street – Fear and Loathing at the Roxy – which runs until 10 May. 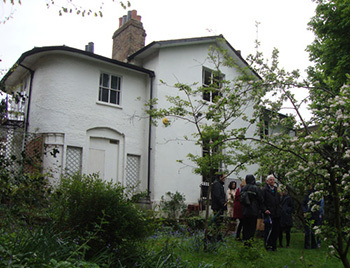 Following an extensive programme of refurbishment, Emery Walker’s House in Hammersmith today re-opens to the public. It was the home of one of the key members of The Arts & Crafts Movement, a close friend of William Morris and father of the Private Press movement. Over 6,000 items were removed from the house while the building received comprehensive repairs including a new roof. The collection includes William Morris’ 17th Century Library chair, Philip Webb furniture and glass, ceramics by William de Morgan and a Burne-Jones portrait of May Morris. 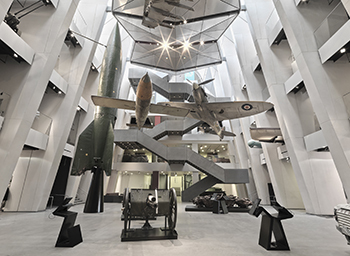 The National Army Museum in Chelsea has reopened after a three year £23.75 million transformation, including a brand new building. £11.5 million was Lottery-funded. Breaking from the chronological arrangement of previous times, the museum is now divided into five permanent themed galleries: Soldier, Army, Battle, Society and Insight. There is also a 500 square metre temporary exhibition space. On display are over 2,500 objects, around two thirds of which are in public for the first time. 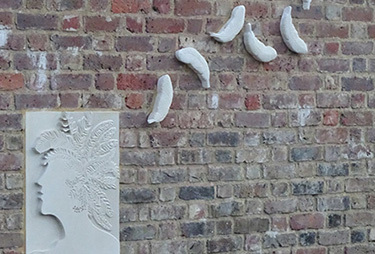 On Monday 20 March, a plaque to the Powhatan princess Pocahontas was unveiled in Brentford by His Highness the Duke of Gloucester. It was to commemorate the 400th anniversary of her death following a year-long stay in London and Brentford with her husband, the tobacco planter John Rolfe. The plaque is positioned on the outer wall of Syon House near where the Rolfes stayed in early 1617. Sadly, Rebecca Rolfe – as she was known – died and was buried in Gravesend en route home to the Jamestown settlement in Virginia. The ceremony was also attended by three Indian chiefs from the Virginia tribes and the mayor of Hounslow. 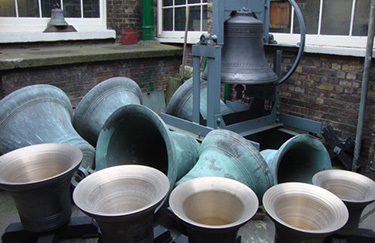 Along with other participants, the East End Preservation Society has launched a campaign to try and rescue the Whitechapel Bell Foundry from permanent closure. The centuries-old family-run business announced last December that the concern was no longer commercially viable and that it was to close with its building and contents sold off. The campaign will be appealing to the new owners of the premises and the Department of Culture Media and Sport to keep the enterprise going as an asset of national heritage value. At time of writing, the petition for this has over 7,500 signatories. MOLA archaeologists excavating the Tottenham Court Road Crossrail site have unearthed the remains of 13,000 Crosse & Blackwell containers. 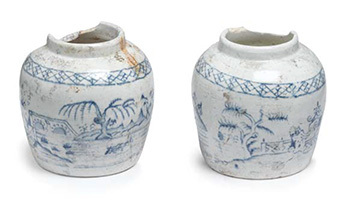 Made largely of ceramic or glassware, the artifacts are in remarkably good condition. The products date from around 1830 to 1920, representing a variety of British condiments and sauces – favourites on the tables of Britain and its empire. 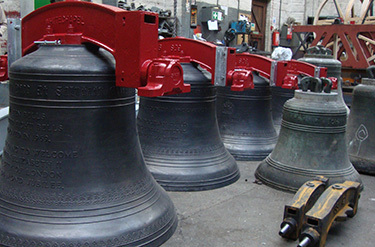 Whitechapel Bell Foundry, which has been in business from at least 1571 – and probably earlier – is to close its doors in May of next year. The family business, which made Big Ben and the Liberty Bell in Philadelphia, will run down its order book before vacating its well-known premises for the last time. It has been on this particular site for over 250 years. The owners, whose family has run the foundry since 1904, are hoping to sell the business as a going concern. Yet more on this story. The MoD has announced yet more economising which involves selling assets, notably Woolwich Baracks, dating from 1803 and the widest building in Britain. In recent times it was the base of Fusilier Lee Rigsby who was murdered by Islamists in the street nearby. 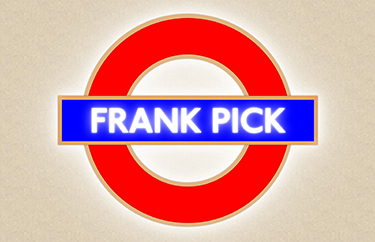 A memorial to legendary London Underground boss Frank Pick (1878-1941) is to be unveiled at Piccadilly Circus station on 7 November. This year is the 75th anniversary of his death. Pick – who worked for the Underground in various roles from 1906 to 1940 – was responsible for creating a uniform design identity for the entire system. He engaged typographers such as Edward Johnston and architects like Charles Holden to create a look which has stood the test of time for over a century. He also sponsored a whole generation of up and coming commercial artists to create world class posters for the service. The 9m wide artwork – called Beauty < Immortality – is by BAFTA winning and Turner Prize nominated artists Ben Langlands & Nikki Bell. It has been subscribed partly by a crowd-funding project in which participants can win rewards – for example, specialist tours – provided by London Transport Museum. 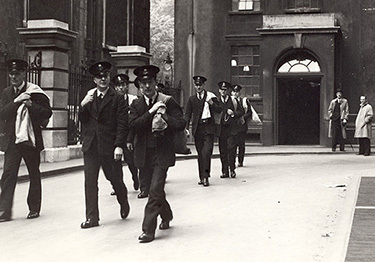 As the City of London Police celebrates its 175th anniversary, its museum collection will move to a new home at Guildhall, opening on 7 November. The museum has until now been housed in tiny accommodation at Wood Street Police Station, with patchy opening times owing to its curators being full-time serving police officers acting as volunteers. The purpose-built museum is a collaboration between the City of London Police and the City of London Corporation’s Guildhall Library, which is situated next to the new museum. Every type of object imaginable from police work will be on display along with unusual items such as Olympic gold medals for Tug of War from the early 20C. Admission will be free. Following a year-long major refurbishment, the Queen’s House in Greenwich re-opens to the public today. The project commemorates the 400th anniversary of the building being commissioned by James I for his consort, Anne of Denmark. Unfortunately the queen never lived to see the mansion’s completion in 1619. 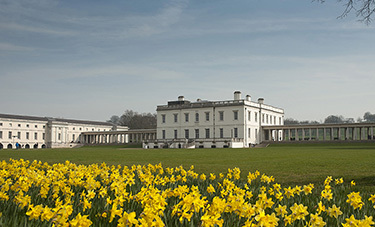 The Queen’s House is a master work of architect Inigo Jones and considered to be the first neo-classical building in Britain. Today it is an art gallery housing masterpieces by Gainsborough, Reynolds, Turner and Hogarth in addition to its exquisite collection of maritime art. Joint funding from the National Lottery and Heathrow Airport will underpin a project to create a permanent home and exhibition for the airport’s archives. The £179,000 initiative will see t the collection dating from the 1940s, moved and housed at the University of West London’s campus in Brentford. The facility will be open to researchers and the public in 2019. 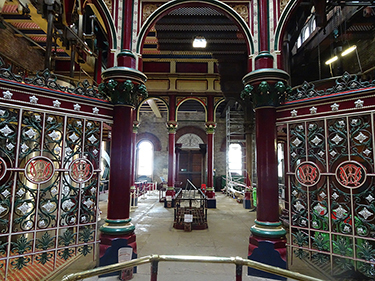 Joseph Bazalgette’s 1865 pumping station at Crossness has re-opened to the public following an extensive £2.7 million makeover, sponsored by Heritage Lottery Fund. Following the Great Stink of 1858, Bazalgette introduced a huge underground sewage system under London, powered by steam-driven pumping stations, one of which is the Grade I-listed Crossness facility. 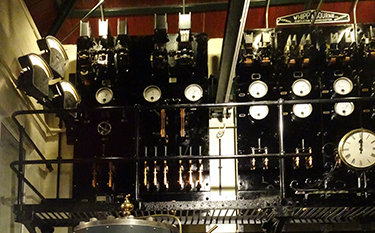 It still has its four massive beam engines in situ although only one – the Prince Consort – is in working order. The re-launch dovetails with a new exhibition, The Great Stink, which gives the background story to Bazalgette’s project. Using no more than a surviving barrel and contemporary illustrations, Museum of London has teamed up with Croford Coachbuilders, to accurately rebuild a 17C fire engine. 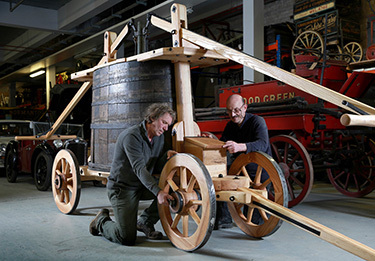 Using only techniques and materials available nearly four hundred years ago, the team have reconstructed the machine in time for the museum’s Great Fire exhibition which opens next month. The London Borough of Hounslow has placed a Temporary Stop Notice on the site of what is known as the Sarah Trimmer School, in Brentford. 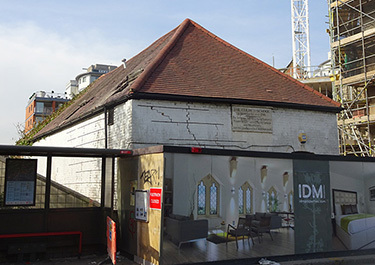 The notice has been served on the developer IDM West London Limited after its workers sand-blasted exterior paint from the building in breach of planning consent. This follows the removal of the building’s roof several weeks previously, also without consent. Sarah Trimmer was an educationalist and social reformer in Brentford during the Industrial Revolution. As research by local historians has recently revealed, the school was an industrial training establishment to help poor women into work, now thought to be the first of its kind in Britain. It is therefore of greater historical significance than hitherto realised. The simple one storey white building dates from 1806 and is Grade II listed. The developers have planning permission to convert it into a single dwelling, the Council having refused their initial application to create three apartments on the site. With the fabric of the building now seriously compromised, its future must be in doubt and once more we are left with another sad example of developer’s total lack of respect for local heritage. 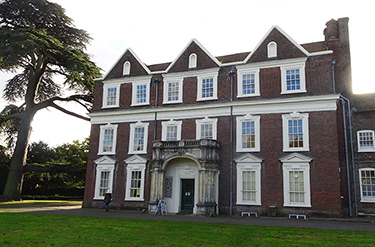 Boston Manor House, the early 17C country mansion near Brentford, has been awarded just over £200K by the Heritage Lottery Fund (HLF). The grant is to develop a plan to restore and renovate the building and its rooms with a view to applying for a more substantial application in due course. For a great part of its history, Boston Manor was owned by the Clitherow family until they dispersed of the estate to Brentford Urban District Council in 1923. Today it is owned and managed by London Borough of Hounslow. 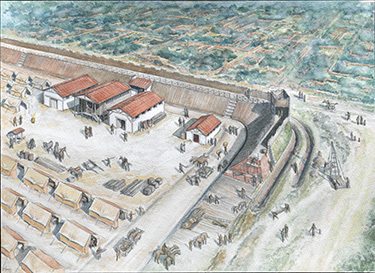 Archaeologists from Museum of London have uncovered a Roman fort which was built in 63AD. It was raised in direct response to the Boudicca raids a few years previously when Londinium was destroyed by fire. The fort was discovered at Plantation Place in Fenchurch Street in preparation for a new building development. It is a typical example of a strong temporary defensive fort on the road north prior to the erection of ancient London’s permanent stone defensive wall. MOLA have published a book about the project. 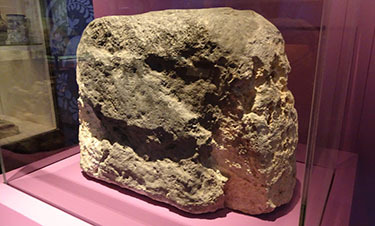 The mythical London Stone was put on display today in the Museum of London. It is expected to remain there for over a year while the building where it usually resides, in Cannon Street, undergoes major refurbishment. The limestone rock – a designated historical monument – dates from at least 1100, although a cobbled-up Victorian myth linked it to the city’s foundation story from circa 1000 BC. 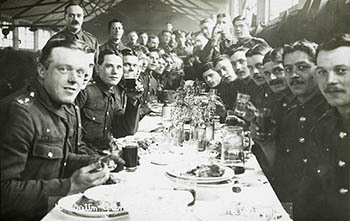 It was held for centuries at St Swithin’s Church until the building was destroyed in the Blitz. It is said that London’s very existence relies on that of the stone. 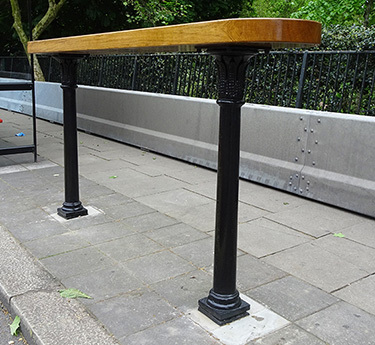 Westminster Council today unveiled a porters’ rest in its original position in Piccadilly, near the Bomber Command Memorial. Before efficient freight services, fruit, vegetables and other mainly perishable goods were literally carried into London markets each day by hundreds of porters. Porters’ rests were a common sight on all the capital’s trunk roads. The final example mysteriously disappeared in 2012. Following a campaign led by leading Westminster tour guide Peter Berthoud (also a London Historians member), the council installed this one, albeit a replica. 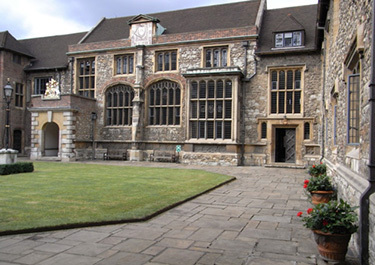 Charterhouse, the former Carthusian priory in Clerkenwell, is to open its doors to the public for the first time this September. The estate of mainly Tudor buildings was originally established in 1371, but violently dissolved in 1537 under Henry VIII. The merchant Thomas Sutton purchased the site in 1611, establishing alms houses and a prestigious school. It is still the home to this day of 40 ‘brothers’, essentially retired Christian gentlemen. The first tranche of funding towards an £1 million cost has been awarded by the Heritage Lottery Fund to the historic mapping project – Layers of London – which will launch in May of this year. The fund has pledged £103,000 to the Institute of Historic Research (IHR), part of University of London’s School of Advanced Studies. IHR will lead the project in partnership with British Library, London Metropolitan Archives, Historic England, The National Archives and MOLA (Museum of London Archaeology). They will bring all their relevant assets to bear in creating a rich interactive website featuring maps and other topographical information of London through the ages. London Mayor Boris Johnson has sided with developers British Land who wish to build on a historic area of land near Bishopsgate: Norton Folgate. 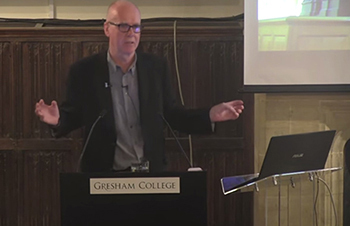 Despite Tower Hamlets council rejecting the developers’ plans twice – siding with conservation groups including the Victorian Society – the mayor invoked his executive power to overturn their decisions. TV Historian Dan Cruickshank , who is a nearby resident, joined with local groups to push for the Georgian era streets to be given over to new housing and retail rather than the tower-style office blocks, considered by many to be architecturally oppressive. Campaigners were supported by over 6,500 signatures in a public petition. A contemporary version of the 1616 Visscher Panorama is to displayed at the Guildhall Art Gallery through most of 2016. 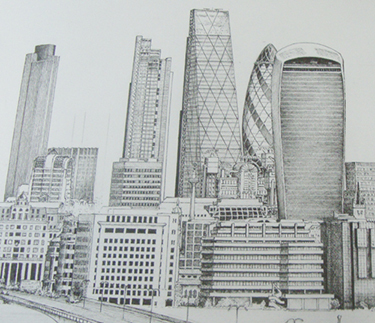 Artist Robin Reynolds has spent several years painstakingly planning and redrawing a contemporary Thames panorama to commemorate the famous version created 400 years ago by the Dutch artist Claes Jansz Visscher. The modern work will be displayed alongside the gallery’s own original copy of the Visscher engraving from 20 February until 20 November 2016. It has been announced this morning that Ian Kelly’s play Mr Foote’s Other Leg will transfer to Theatre Royal Haymarket after its sell-out run at the Hampstead Theatre. 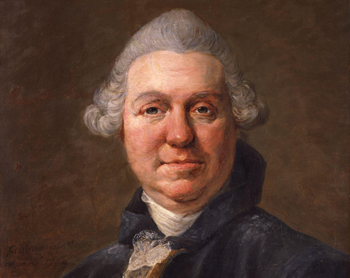 The play is about the 18C satirical comedy actor and impresario Samuel Foote (1720 – 1777), who was all but forgotten until Kelly’s 2012 biography drew him out of the shadows. The West End run could hardly be more significant: the Theatre Royal Haymarket was Foote’s own playhouse and the royal warrant was awarded to him personally. Kelly told London Historians: “I am chuffed to bits, of course as a playwright and actor, but mainly, in truth, for Mr Foote – who returns to HIS OWN theatre 240 years on….and if I do nothing else, as a historian, I am proud as punch of that – one of London’s great lost figures re-found”. The play is directed by Richard Eyre and stars Simon Russell Beale as Samuel Foot. 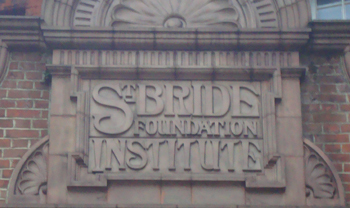 The St Bride Foundation near Fleet Street has made the shock announcement that it is to close its library and workshop and has laid off two members of staff. The institution, endowed by Victorian philanthorpist and newspaper entrepreneur, John Passmore Edwards, has been a teaching institution and archive for thousands of print workers and print historians since its foundation in 1895. It has a vital role in the history and heritage of print in London. Chief Executive Glyn Farrow, quoted in yesterday’s Evening Standard, said that the institution had been unable to generate sufficient income to stay viable, suffering an annual shortfall of around £150K. Update: Glyn Farrow has been in touch with London Historians to assure us that much reporting on the current situation has been inaccurate. He assures us that this is a temporary yet essential measure and that there are funding solutions in the pipeline which will restore the library to service in the fullness of time, although when that might be is difficult to predict right now. 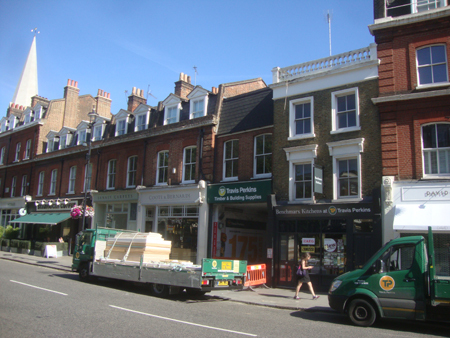 Grosvenor Estate, owned by the Duke of Westminster and his family, has given notice to a group of independent shops in Pimlico Road to quit their premises by the end of the year. The landowner wishes to use the area for larger stores and luxury flats. One of the outlets, a Victorian timber yard owned by Travis Perkins, has been in continuous business since 1840 and in fact celebrated its 175th anniversary a matter of weeks ago. While for them the news is especially bitter, all the shops are angry at the plans. 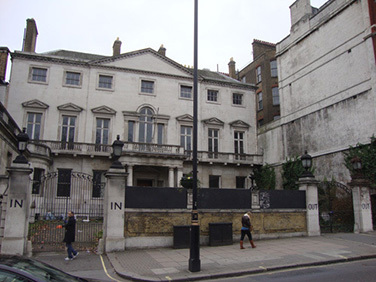 Grosvenor Estate abandoned a similar scheme in 2001 following stringent local opposition. Plans to demolish a row of five historic buildings on the Strand have been put on hold. 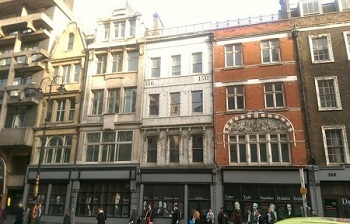 Belonging to King’s College London, the structures were to be swept away and replaced by a modern block as part of KCL’s plan to expand the Strand Campus. But in the face of determined opposition by conservation groups including the Victorian Society, the college has shelved the plan, it has been announced. London Historians warmly applauds this decision. 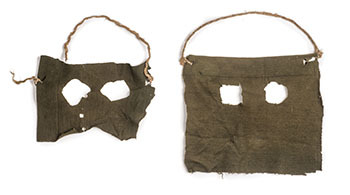 The Museum of London has announced a major exhibition starting in October which will display many objects from the Metropolitan Police’s Crime Museum. This is the Met’s internal training museum, rarely accessible to the public, which means these artifacts will be seen by most people for the first time. Without resorting to sensationalism, the museum will place them in the personal context of the victims, the perpetrators and police investigators. Dr Crippen, the Krays and the Great Train Robbery will be among the dozens of cases featured. Westminster Council have ordered an Israeli property company to re-build brick-by-brick an attractive community pub in Maida Vale which they demolished without planning permission. Locals were shocked when bulldozers moved in on 8 April and demolished most of the Carlton Tavern with unseemly haste it would seem, since the building still contained furniture and fittings. The public reacted with demonstrations at the site and an online petition demanding retribution from the council. CLTX’s appeal against refusal of consent is still pending. 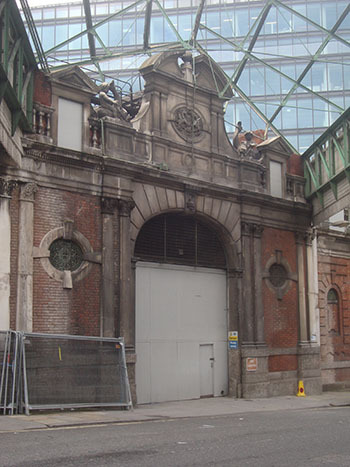 The Museum of London has announced that it is to move premises to the derelict Smithfield General Market, recently subject of a controversial proposed redevelopment which was quashed at the eleventh hour by government minister Eric Pickles. The museum, which has been at its current London Wall home since 1976, is desperately short of space for both display and storage. The announcement was made last night at the Museum of London’s annual fundraising dinner. Director Sharon Ament explained that with massive growth of visitor numbers and increased pressure on curators and researchers alike, action was essential. It is expected that the plan will take until 2021 to implement. Thanks to more that £300K of grants a collection comprising over 400 William Heath Robinson drawings has been prevented from being sold off and potentially broken up. The images, whose future has been in doubt for several years, has been acquired by the William Heath Robinson Trust (WHRT), who will open a museum dedicated to the artist in 2016 in Pinner, the London suburb where he lived for many years. The bulk of the funding came from The National Heritage Memorial Fund (NHMF) who gave a £250,000 grant to assist the purchase. The Art Fund chipped in and additional grant of £50,000 to make up the balance. 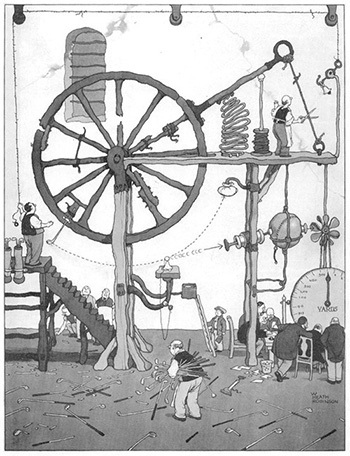 W Heath Robinson article on London Historians’ blog. The Museum of London has announced a forthcoming exhibition featuring objects from the Metropolitan Police’s so-called “Black Museum”, which normally has extremely restricted access to the likes of us. 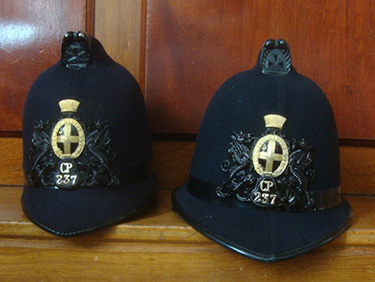 The Crime Museum Uncovered will reveal the secrets of the Crime Museum’s collection, created by serving police officers since its establishment in 1875. It will take visitors on a journey through some of the UK’s most notorious crimes, from Dr Crippen (1910) to the Krays (1969), the Great Train Robbery (1963) and the Millennium Dome diamond heist (2000). ‘Raving and Melancholy Madness’ by Cibber which adorned the second Bethlem hospital in Moorfields. On 19 February, a new home for Bethlem Gallery and Museum of the Mind will open at the world’s oldest psychiatric institution, Bethlem Royal Hospital at Beckenham, south London. ‘Bedlam”, as the hospital became known in popular culture, has existed in various London sites since 1247. Displays will be filled with the personal stories – both historic and contemporary – of those who have experienced mental health difficulties and will explore the long, controversial and often misunderstood history of Bethlem. The Museum will house significant art and historical artefacts, almost all of which will be on display for the first time, as well as works by current artists and hospital service users. Among the highlights of the collections are paintings and drawings by Richard Dadd and others. Entry to the new Gallery and Museum will be free. Help shape the future of the Parliamentary Archives, the oldest collection of its kind in the world. 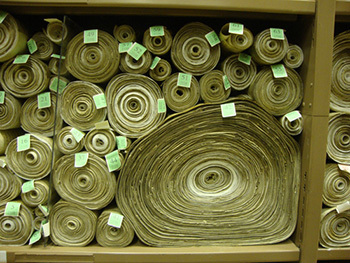 The Parliamentary Archives contain four million records, including all acts of Parliament from 1497 onwards, and important historical documents such as the Death Warrant of Charles I. Since 1860 the Parliamentary Archives have been housed in the Victoria Tower, part of the iconic Palace of Westminster. While this site provides an historic backdrop for the collections, space for research, exhibitions and tours is severely limited. In addition, the layout of the Tower makes collections storage both inefficient and cramped. As the Palace looks to carry out significant and much-needed restoration work over the coming years, there is an opportunity for the Archives to consider finding a new home. This would reduce risk to the collections, allow more people to engage with the archives, and generate a deeper understanding of the work of Parliament in the past and today. A survey is being carried out to help determine the most suitable location for a new archive centre. Your views will be very welcome, enabling them to make the best decision about the future of the Parliamentary Archives. There’s a page of highlights, together with a full list of new additions and an Introduction to the latest update. 152 of the new additions are recorded as having some connection with London; 56 were born in the capital; 79 were one-time residents. Note that the DNB requires subscription access which is available for free at many public libraries and archives. The Guildhall Art Gallery has reopened following a £600K overhaul, its first since the new building was opened in 1999. The changes include new LED-based lighting for better control, and increased capacity. The biggest change, however, is a comprehensive rehang which sees the Victorian collection space on the upper floor populated with a 70% change of pieces selected and grouped in dychotomous themes. The London galleries downstairs have a much more considered focus on overlapping topography and chronology. The Guildhall Art Gallery is open 7 days a week and is free. A house in Twickenham, designed and built by JMW Turner, has been granted £1.4 million from the Heritage Lottery Fund towards a complete restoration. Known as Sandycombe Lodge, the building was used as a country retreat by the artist and his father between 1813 and 1826. 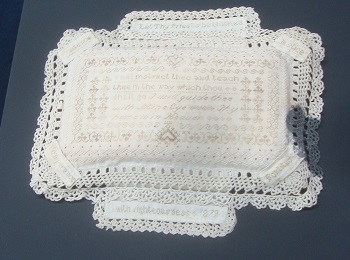 It was bequeathed to the nation by its last owner, Prof. Harold Livermore, who died in 2010. It is in the care of the Turner House Trust. The plan controversially includes the removal of the wings of the building which were added after Turner’s time. The work is expected to be complete in 2016. The Museum of London has announced an exhibition showcasing the work of Christina Broom (1862 – 1939) to start at their Docklands museum next June. Broom, recognised as being the first woman press photographer, took over 40,000 images during her career from 1903 – 1939, many of them featuring WW1 soldiers and suffragettes, the twin foci of this exhibition wish will run from 19 June – 1 November 2015. Transport for London has announced that its Charles-Holden designed Art Deco HQ is to become luxury flats. 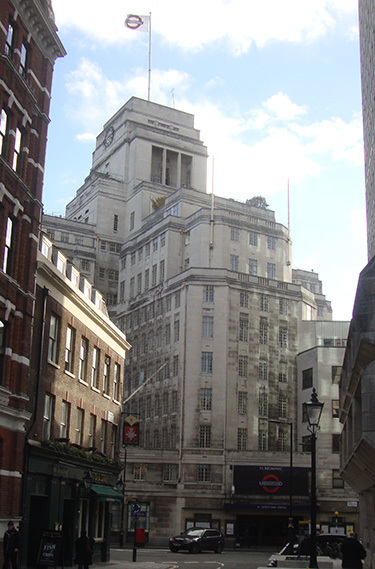 TfL claims that turning the Grade I-listed 55 Broadway – a purpose-built 10 storey office block – into accommodation, will generate more revenue than keeping it as offices or making it into a hotel, which was the other plan being considered. The scheme is opposed by heritage groups, chief of whom is the 20th Century Society. TfL claims that its proposal delivers the best value for tax payers and customers. Hermione Hobhouse, a leading champion of London’s built heritage, has passed away at the age of 80. She was for many years a leading light of the Victorian Society and also the biographer of Thomas Cubitt. In addition, she wrote the acclaimed Lost London and was for over a decade the general editor of the Survey of London. The Victorian Society has published this year’s list Ten Most Endangered Buildings. 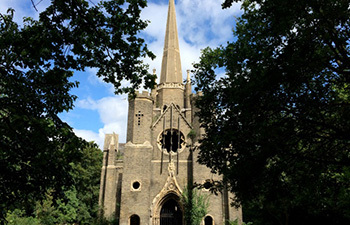 A notable London inclusion is the chapel of Abney Park Cemetery which is in great danger without urgent attention. Abney Park is one of London’s so-called “Magnificent Seven” public cemeteries built in the mid 19C and its Grade II-listed chapel is the oldest-surviving non-denominational building of its type in Europe. The Victorian Society urges Hackney Council and the Abney Park Trust urgently to work together to alleviate the danger facing the building. As part of the 800 year anniversary commemorations of Magna Carta (1215), all four original survivors of the ancient are to be on show together for the first time at the British Library next February. The Library, along with Lincoln Cathedral and Salisbury Cathedral will unite their copies of the ancient manuscript. However, the momentous occasion will bizarrely be for one day only, 3rd February. Members of the public wishing to see the display must enter a ballot. More news and the public ballot. 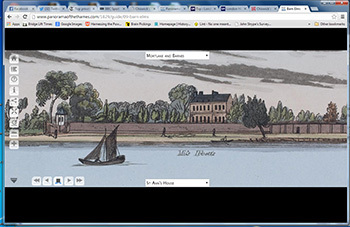 After several years of preparation and hard work, the Panorama of the Thames web site has gone live. It is based on the now fully digitised 60 ft painting of the banks of the Thames, created in 1829. The Leigh Panorama as it is commonly known, features 15 miles of both banks of the river from Richmond to Westminster. By far a more ambitious adjunct to the project has been the addition of modern photographic equivalents of the same stretches of water but from Hampton Court all the way to Tower Bridge. As part of the World War One Centenary, the Imperial War Museum in Lambeth will reopen on Saturday 19 July after a major transformation. The main change is the addition of the First World War Galleries which tell the story of the experience of the war by both the combatants and those on the home front. The re-opening will also see the start of a major art exhibition: Truth and Memory: British Art of the First World War which runs until March 2015. Imperial War Museum is free admission. 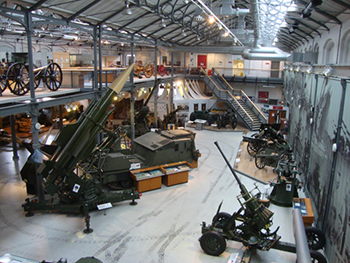 Firepower, our oldest military museum, is to close at the end of 2016, in a move which allows Woolwich council to squeeze a more attractive return from the site. 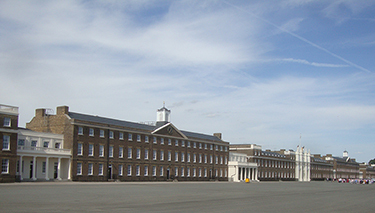 A statement, issued by the Royal Artillery Museum Board on 26 May, stated that the root of the problem is “the Museum will be unable to live within the available income and it is also clear that the location is very unlikely to be able to deliver the number of visitors in the timescale needed for financial sustainability.” It went on to say that a new home will be identified locally to house some of the collection. The staff of the museum are unable to comment. A petition to save the museum has been set up here. Pitzhanger Manor, once the Ealing “country house” of architect Sir John Soane, has won a £4.42 million grant from the Heritage Lottery Fund for a total restoration of the Grade I-listed building. Soane designed the building himself on the site of a house built by his mentor George Dance the Younger, a wing of which remains intact. It was used by the architect’s family in the first decade of the 19C as a weekend retreat from his city residence in Lincolns Inn Fields, now the Soane Museum. The work will commence in January 2015 until 2018, so do visit the property this year while you can. Entrance is free. Up until recently, there have been associations for qualified guides in the City, Westminster, Clerkenwell & Islington, and Greenwich, but none for Camden, a central London borough with hugely significant heritage. This has been put to rights with the launch of the Camden Tour Guides Association, at the behest of the council. The project is led by a group of highly-experienced existing guides, including Peter Twist as Chair and David Brown as Vice-chair. Both are active London Historians Members. Public guided walks will start from 14 June and the first guide training programme begins in September. The Association invites applicants to join their inaugural course. There is a maximum of 24 places. The Museum of London has announced it is able to display a very early Fox Talbot photograph at its forthcoming exhibition, Bridge, opening at Museum of London Docklands on 27 June. 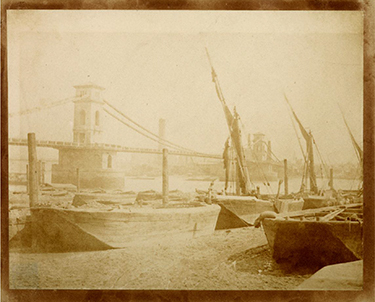 Not only is it the oldest photograph in the museum’s collection, it just so happens to show Brunel’s original Hungerford Bridge in 1845 – the year it opened. Ironically, Brunel’s bridge was demolished within fifteen years after the photograph was taken to make way for a railway crossing. Sir Kenneth Branagh has added his voice to support a project to restore a theatre at Alexandra Palace which has been closed for 80 years. The 2,500 seater – designed by John Johnson – opened in 1875. Alexandra Palace hopes to have the space active again by 2017 as part of a £31 million Lottery fund bid. It has been used variously over the years as, among other things, a refugee centre and a storeroom for BBC props. Philip Sugden, the historian who through academic rigour debunked dozens of flaky theories surrounding “Ripperology”, has died aged 67. His celebrated work, The Complete History of Jack the Ripper (1994), is generally considered the definitive study on the so-called Whitechapel murders of 1888. It was backed by nine years of meticulous research. Sugden’s other areas of interest included Stuart maritime expansionism and the Georgian underworld, in particular the story of notorious jail-breaker Jack Sheppard. Following a period of financial uncertainty, speculation and rumours, the Royal Institution is now confident that its Albemarle Street home has a secure future. Until recently, there was a real possibility that the Ri would have to sell or lease its famous neo-Classical fronted building to make ends meet. 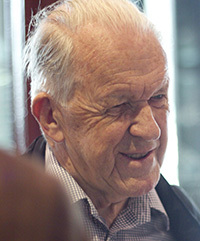 But following the 2014 AGM, in a statement to Members and Trustees, Chairman Sir Richard Sykes announced: “I’d like to take this opportunity to let you know that at the most recent meeting of the Trustees in March 2014, it was decided that the sale, or even part–sale, of our property will no longer be considered as part of any long-term plan for the charity. This decision means that the Ri’s historic Albemarle Street home will continue to be the centre of our operations for the foreseeable future.” The Royal Institution has been based at Albemarle Street since its foundation in 1799. 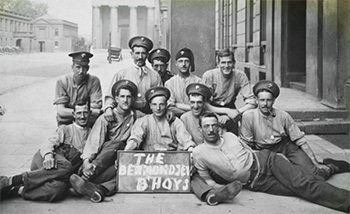 The ‘Bermondsey B’hoys’ from the 2nd Grenadier Guards, Wellington Barracks. 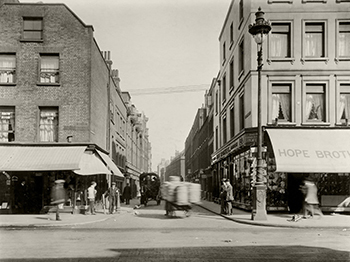 The Museum of London has obtained over 2,500 photographs from the work of Christina Broom, who was active in London from 1903 to 1939. Self-taught, she was a working postcard photographer as well as undertaking major reportage work which included Suffragette protests and coronations. She also had exclusive access to the Household Cavalry with whom she developed a close working bond. The first exhibition featuring this collection starts on Friday 4 April at the Museum. Entrance is free. 100 years ago, photographer C.A. Mathew stepped off the train at Liverpool Street, took a series of pictures around Spitalfields, and left. Nobody knows why. For the first time, the complete series of never before seen images is being shown, fully restored by photographer Jeremy Freedman. It is a remarkable record of the people of the area before the First World War. The show opens at Eleven Spitalfields Gallery in Princlet Street on 7 March. The Museum of London has added over 100 new images to its award-winning Streetmuseum App, now released in version 2.0. They range from 1868 to 2003. The images superimpose historical street views onto today’s exact equivalent. The app allows users to select a destination from a London map or use geo-tagging and Google Maps to pinpoint their location. 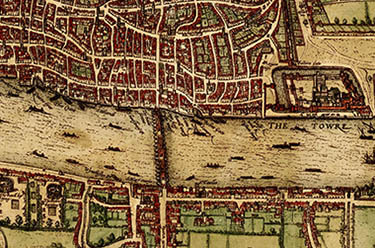 Once selected, a historical image of their London location appears onscreen, which can be expanded and explored in detail, along with historical information about the subject. The new version includes views from London’s suburbs. 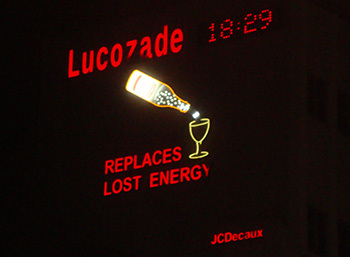 The Brentford Lucozade sign – well-known to generations of travellers along the M4 and A4 arteries – has been saved from being torn down and replaced with a modern liquid screen. The current sign is a replica of the original 1954 version which is the collection of Gunnersbury Park Museum. The move to change the sign was made by outdoor advertising giant JC Decaux whose headquarters are ironically in Brentford. Hounslow Council rejected the planning application on Friday. 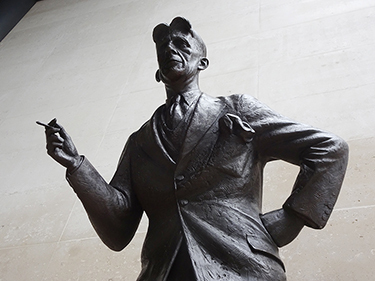 Londoners Included in latest ODNB update. The Oxford Dictionary of National Biography has released its latest batch of eminent Britons, including prominent Londoners: Malcolm McLaren, Frank Crichlow of the Mangrove Café, Notting Hill; Rose Gray, co-founder the River Café, Hammersmith; the local politician and ILEA leader Frances Morrell; Brian Duffy, East End photographer (one of the so-called ‘Black Trinity’ with David Bailey and Terence Donovan); Jayaben Desai, leader of the Grunwick industrial dispute, Willesden in the mid-1970s; Beryl Bainbridge, long-time resident of Camden Town; Roger Walters, chief architect for the GLC; and Sir Robert Mark, commissioner of the Metropolitan Police in 1970s. Wellcome Library has announced the release of over 100,000 images from its collection through Wellcome Images. The depictions are all available in high resolution and are free to use with the appropriate accreditation. In the wake of recent similar news from the British Library, this is a fabulous boon to historians, researchers and writers. Many of the images are relating to London. Amid emotional scenes, ten London fire stations closed their doors for the last time at 9:30 am on 9 January. 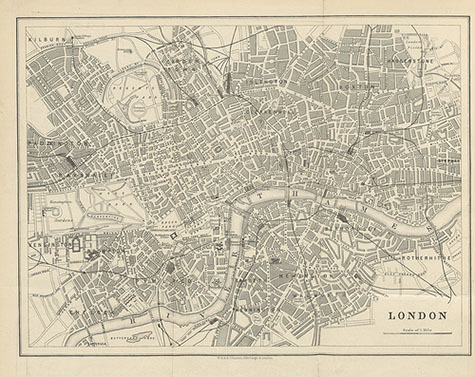 They included the city’s oldest, Clerkenwell, which opened in 1872. The others were Woolwich (1887), Denham, Westminster (1907), Silvertown (1914), Southwark (1878), Knightsbridge (1907), Kingsland, Bow (1974) and Belsize (1915). The closures come as a cost-saving exercise by the London Assembly, led by Mayor Boris Johnson. The British Library has uploaded more than a million images to its Flickr Commons account for free use for academics and the general public alike. They include maps, drawings and illustrations from the 16th, 17th and 18th Centuries. The library plans to launch a crowd sourcing project in 2014 to build descriptions of all the images. Following extensive, much-needed restoration and re-decoration, the wraps have been removed from Kenwood House as it opens to the public again for the first time since March 2012. 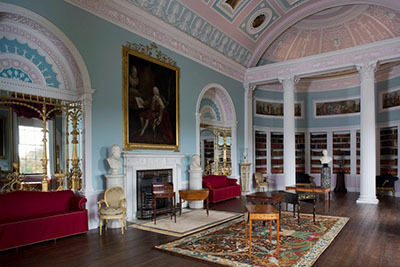 The Robert Adam town house, built in the 1770s for celebrity judge Lord Mansfield, has been returned to its original interior designs and colours to make it more like its original purpose and less resembling a museum. The project – part of the Caring for Kenwood programme – cost £5.9 million pounds with contributions from the Heritage Lottery Fund and the Woolfson Foundation. Most exciting for some will be the re-hang of Kenwood’s 63 paintings from the Iveagh Bequest which include many acknowledged masterpieces. Museum of London Archaeologists (MOLA) have discovered an almost perfectly preserved statue of a Roman eagle dating from the first or second century AD. Working at a site which is to become a 16 storey hotel in the City of London, the team discovered what is one of the best of examples of its type anywhere. The crouched eagle, which is devouring a serpent, will go on display at the Museum of London for six months from 30 October. A new gravestone was unveiled today for Cuthbert Ottoway, England’s first football captain, who died in 1878 at just 27 while his wife was expecting their first child. Ottoway captained England against Scotland firstly in 1872, then again in 1874. He was an outstanding sportsman, representing Oxford University at not only football, but also cricket, athletics, real tennis and racquets. 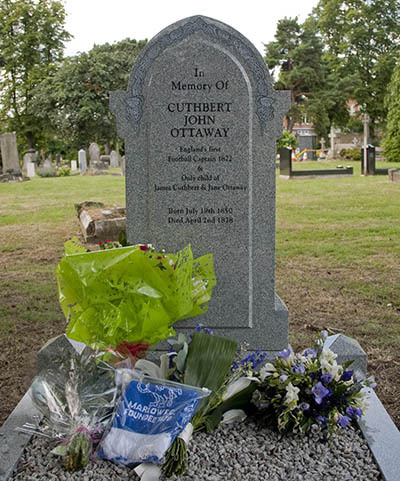 Ottoway was buried at Paddington Old Cemetery where in the early 2000s his biographer Mick Southwick discovered his grave in a pitiful condition. This sparked a campaign, led by England fan Paul McKay, to raise money for a fitting replacement. The rededication service was conducted by Rev Christine Cargill of St Anne’s Brondesbury, and attended by a congregation which included the Mayoress of Marlow (Ottoway played for Marlow FC), the Etonian Association (Ottoway was a King’s Scholar), Cllr Roxanne Mashari of Brent Council, the Football Association, Englandfans FC and other supporters. Abide With Me and Jerusalem were sung. Grade I-listed Cambridge House in Piccadilly – more famously known as the In and Out – has been atrophying for a decade and more since its former owners the Naval and Military Club moved to new premises in St James’s Square. Its current owners, billionaire property developers David and Simon Reuben have announced that it is to be fully restored as an 45 room palace and placed on the market with a probably £250+ million price tag. This is good news for historically-minded Londoners saddened by the delapidated state of former Prime Minister Lord Palmerston’s once magnificent home. Wilton’s Music Hall has received a £1.75 million National Lottery grant which will secure its future, which has been in doubt for some years. Wilton’s is the only London survivor of this historic form of entertainment. 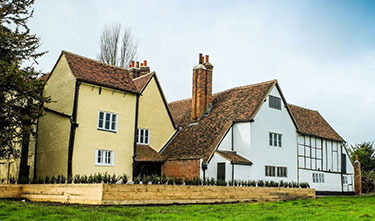 The grant will secure the five Georgian houses that make up Wilton’s Front of House (including the bar, foyer and offices) and will complete the full preservation of the building. Following the re-opening of the fabulously repaired Grand Hall in February 2013, the Grade II*, listed internationally significant building is saved from ruin. The Spectator – Britain’s longest-running political periodical – has published its entire archive online, 185 years of magazines, dating back to 1828. There was an unrelated title of the same name dating back to the 18C. 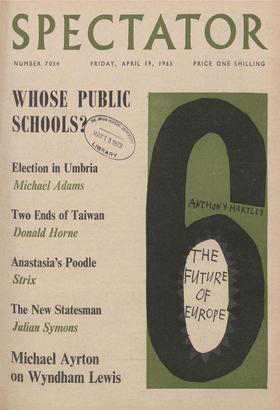 Considered a publication of the Right, the magazine has historically often supported distinctly liberal agendas such as the 1832 Reform Act and abolishing anti-homosexual laws in the mid-20C. It also famously attacked Charles Dickens, although for literary rather than political reasons. The Cheapside Hoard – an eclectic collection of precious jewels from around the world – was discovered during excavations in 1912. For over a century experts have been uncertain about the date of the stash, in particular when the burial may have taken place. 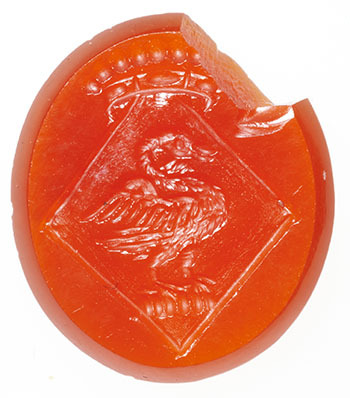 But very recent examination revealed a gem to bear the badge of Viscount Stafford, a known jewellery collector. This dates the hoard to around 1640, no earlier, and suggests its burial to perhaps have been caused by the English Civil War. The Cheapside Hoard will be at the centre of a forthcoming exhibition at the Museum of London starting in October this year. A small and ongoing exhibition which celebrates the role of the Royal Mint at the Tower of London opens to the public tomorrow, 24 May.The Royal Mint operated here for over 500 years until 1812. Its buildings were in Mint Street just inside the curtain wall. 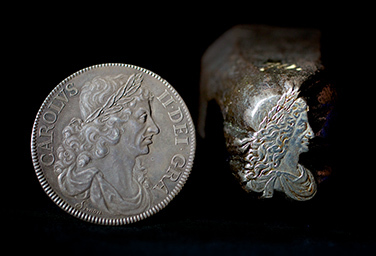 The exhibition, Coins and Kings: The Royal Mint at the Tower, shows the development of coin-making from that practised for thousands of years with hammer and stamp, through the introduction of milled coins in the 17C to just prior to the use of steam power. Key objects from the Tower itself have been united with items from the Royal Mint Museum in Wales, the British Museum and other institutions to give a compelling narrative of coin production down the centuries. The great and the good – kings, scientists, forgers and brigands – all are featured. 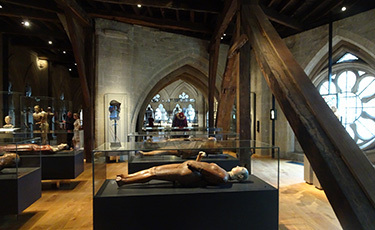 Entrance to the exhibition is included in the Tower of London entry ticket. 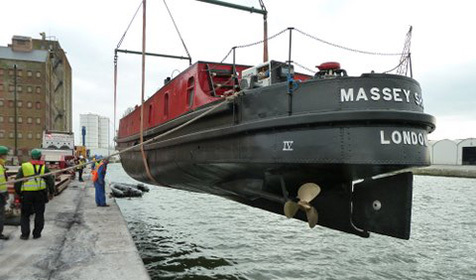 A major step has been taken in the project to restore 20C fireboat Massey Shaw to the Thames. The vessel was placed back in the water for the first time last weekend, in Gloucestershire. After fitting and testing her engines and pumps, she will finally return to the London Thames in June. 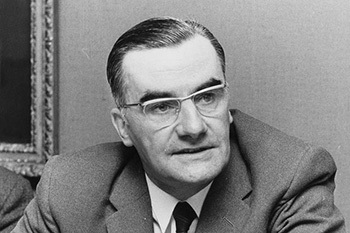 Massey Shaw – named after London’s first fire chief Captain Eyre Massey Shaw – was commissioned in 1935 and served with distinction during the evacuation of Dunkirk and the Blitz. She worked as a fireboat on the Thames until decommissioned in favour of new vessels in 1971. 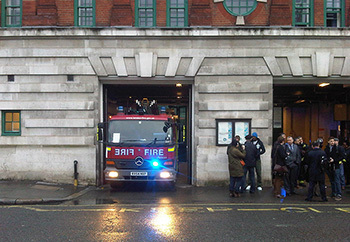 The roof of Newington Library and Cuming Museum in Southwark was destroyed by fire on Monday afternoon. It started at about 12:30 GMT and took 120 firemen using 20 engines several hours to bring it under control. It is unknown at this stage what damage has been sustained by books, documents and the museum’s precious artifacts, which include loans from the British Museum. 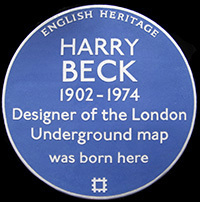 At 10 am today, Sam Mullins, the director of the London Transport Museum will unveil an English Heritage Blue Plaque to Harry Beck (1902 – 1974) at his birthplace in Leyton. It is the 80th anniversary of the first publication of the draughtsman’s famous Tube diagram (more commonly called “map”). 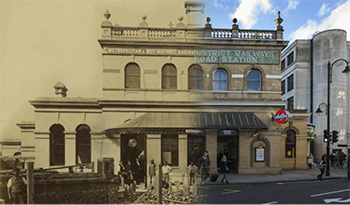 And, of course, this is also the Tube’s 150th anniversary year. The design was an immediate hit with the public and has survived in updated forms to this day. Beck himself updated it until 1960. The plaque will break from practice and be written in London Underground’s typeface, Johnston Sans. 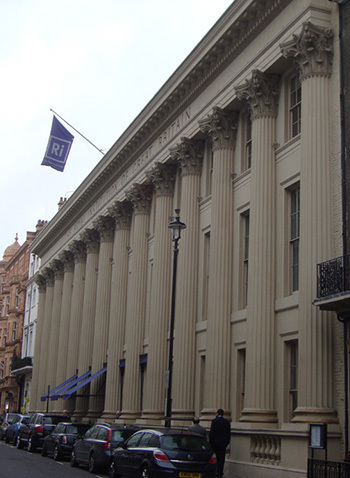 The Royal Institution (Ri) has announced that it may have to sell its home in Albermarle Street to meet a potentially ruinous financial shortfall created, ironically, by an over-ambitious refurbishment of the same building. 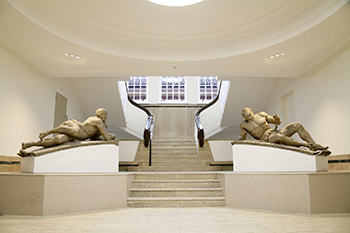 The magnificent Grade 1-listed neoclassical edifice has been the Institution’s only home. The Ri – not to be confused with the Royal Society – was founded in 1799. Its early leading lights included Humphry Davy and Michael Faraday. It is a working laboratory to this day, and also houses a library, priceless archive and the theatre where the famous Christmas lectures are delivered, begun by Faraday in 1825. It’s also the home to the wonderful Faraday Museum (founded 1973, free entry, open Mon-Fri). The Royal Institution has issued this statement. London Historians will vigorously support any campaign to prevent the institution being separated from its building. City of London Guides were shocked when their Vice-Chairman Paul Taylor suffered a fatal heart attack last Wednesday, 9 January. He was actually researching a walk at the time. Paul’s knowledge of the City was “legendary” and he was always available for fellow guides who sought advice. Many City of London Guides are supportive London Historians Members. Our condolences go to them and their colleagues and also to Paul Taylor’s family. English Heritage has announced that, beyond existing commitments, it will not be undertaking further blue plaque commissions. This is in response to 2010’s 34% cut in its funding from central government by Chancellor George Osborne. The scheme was introduced in 1867; English Heritage has run it since 1986. Dr Emily Cole, who is in charge of blue plaques at the organisation says that its future is uncertain. 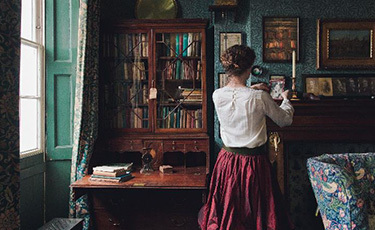 After a nine month overhaul controversially scheduled during the novelist’s bicentenary, London’s Charles Dickens Museum reopens to the public on Monday 10 December. The project – code-named Great Expectations – involved a complete refurbishment and integration with the property next door in Doughty Street, Bloomsbury. The whole programme, supported by Heritage National Lottery, cost £3.1 million. Entrande to the museum is £8 adults, £4 children. Concessions apply. 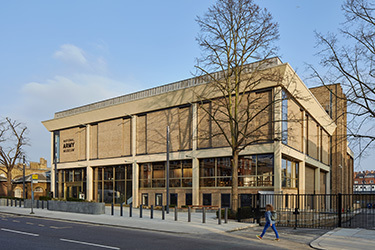 The Rose Theatre Trust, which runs the archaeological projects relating to Philip Henslowe’s 1587 Elizabethan theatre on Bankside, has announced further funding to continue its Rose Theatre Revealed project. The grant from Heritage Lottery Fund will go towards architectural, conservations and public engagement work. London Historians member Peter Berthoud has on his own initiative kicked off a campaign to save some attractive stone sculptures in Victoria. 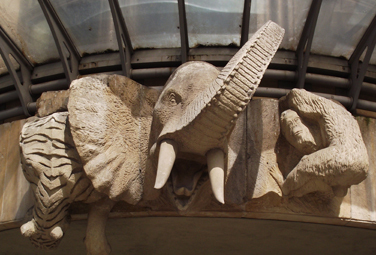 Ironically – in the circumstances – featuring endangered species, they are part of the Allington House which is owned by property company Land Securities. They were originally sculpted by British artist Barry Baldwin. Land Securities claims that it is not feasible cost-effectively to save the work. Berthoud has set up an online petition and urged English Heritage to become involved. Campaigners were left distraught after a long and hard-fought campaign to prevent the re-development of the Fruit and Wool Exchange in Spitalfields came to naught when Boris Johnson last night came out in favour of the developers. Tower Hamlets council had turned down three successive applications from Exemplar but it was overturned when the developer turned to the executive powers to overrule granted to the mayor in 2008. Apart form its frontage, the body of the unlisted 1929 building will be demolished.